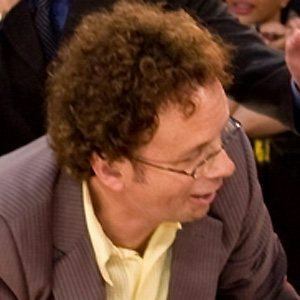 Co-founder of the Kids in the Hall, a Canadian sketch comedy group, who has also lent his voice to the Lilo & Stitch cartoon series and Invader Zim. In 2007 he played Harry Potter in Epic Movie. He was performing around Toronto with fellow comic Dave Foley as the Kids in the Hall, before joining up with the other two founding members of the group and beginning their official run. After the Kids in the Hall show ended, he had guest roles on popular shows such as That 70s Show, Seinfeld, and Friends. He was born in Montreal, Quebec, his father Hamilton McDonald a salesman. He also made an appearance on the music video for Roses for Big Boi and Andre 3000's rap group Outkast.